WELCOME! If you found your way to this page, you must be looking for more information on the Jewish community Center of Paramus / Congregation Beth Tikvah. You have come to the right place! We just celebrated our 60th year as an integral part of the Paramus community. 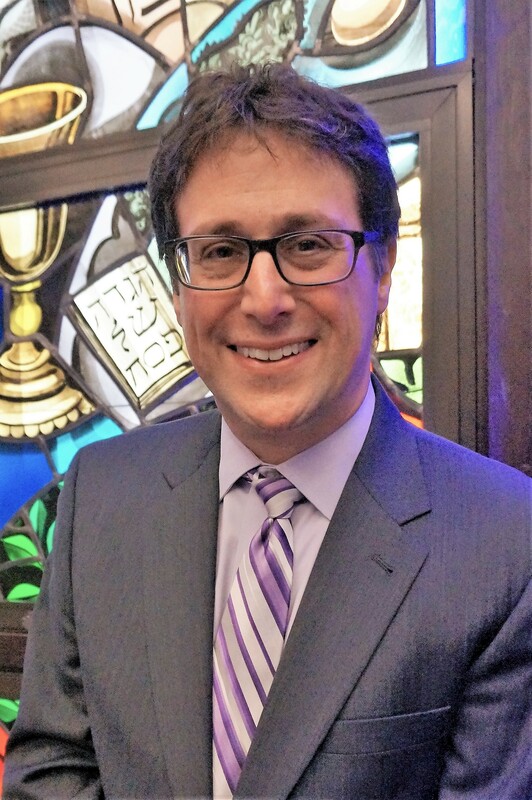 As a Conservative synagogue, providing dual services (Egalitarian and non-Egalitarian), we look to meeting the religious, educational and social needs of our membership. My wife, Debbie and I, moved to Paramus in 1999. As our children reached school age, we started to look for a place for them to have a Jewish education, so we joined the JCCP / CBT. As a friendly community, we began to meet the friends who we still hang out with today. It was not long before we began to be involved in life around the synagogue. For me, it was playing basketball while our girls were in Hebrew School and for Debbie, involvement in Sisterhood. Here it is, many years later, and after involvement in different areas of life here at the JCCP / CBT, that I find myself in the position of President. I am honored to have this position, to follow in the footsteps of those that have served our community so well. Please take the time to “walk thru” our website. If you have any questions, please feel free to call our office, schedule a tour, meet with the Rabbi or myself, or join us for Shabbat. If you are already a member, I look forward to seeing you. If you are new or a potential member, I look forward to the opportunity to getting to know you better.